Natalie is a PopGirl Box ambassador and was sent a box to review. Our opinions are our own. No other compensation was exchanged. Natalie is a tween girl, so sometimes it's tough to get her out of her room. "Hey Natalie? Want to stop playing Roblox and get some Vitamin D?" I called out. "Natalie?" I called up the stairs. So I sighed and climbed up the stairs. I found Natalie in her room with her headphones on. I tapped her shoulder. She jumped. "WHAT?" she asked. "Why did you scare me?" "I've been calling you," I replied. She blinked at me. "When?" "Just now. Do you want to come downstairs?" She shook her head and focused on her laptop screen. "I'm playing." "You got a PopGirl Box full of goodies," I said. This caught her attention. She took off her headphones and CAME DOWN THE STAIRS. "She walks!" I said, handing her the box. She rolled her eyes at me but happily took the box. "I love the color," she said. I loved that the theme of this box was Back To School, which meant it was sure to be filled with supplies that she'd need. I was right about the supplies! She got an Oh My Ombre eraser by Ooly. "It's pretty!" "What a cool pencil case!" 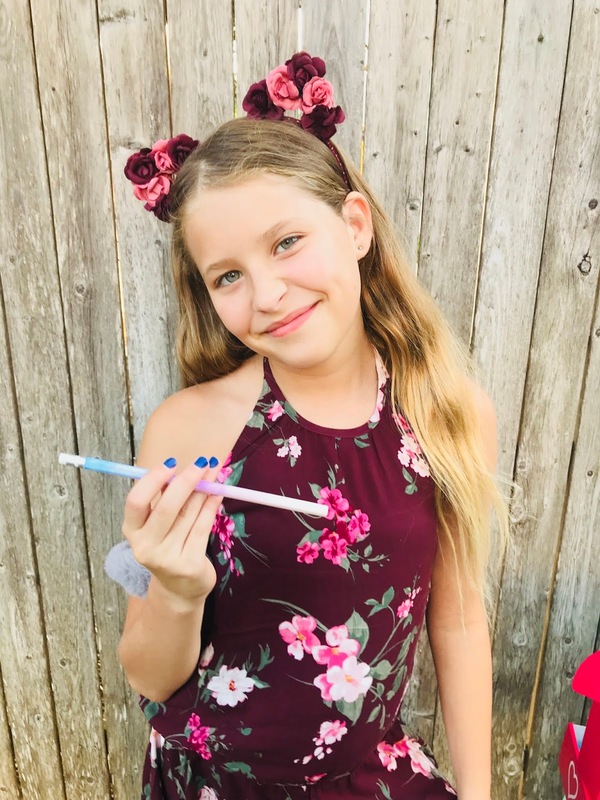 It's by Yoobi, and they are actually donating one to a kid in need. Natalie is excited to try this organic "girl talk" clear lip gloss by Girls Are Beautiful. 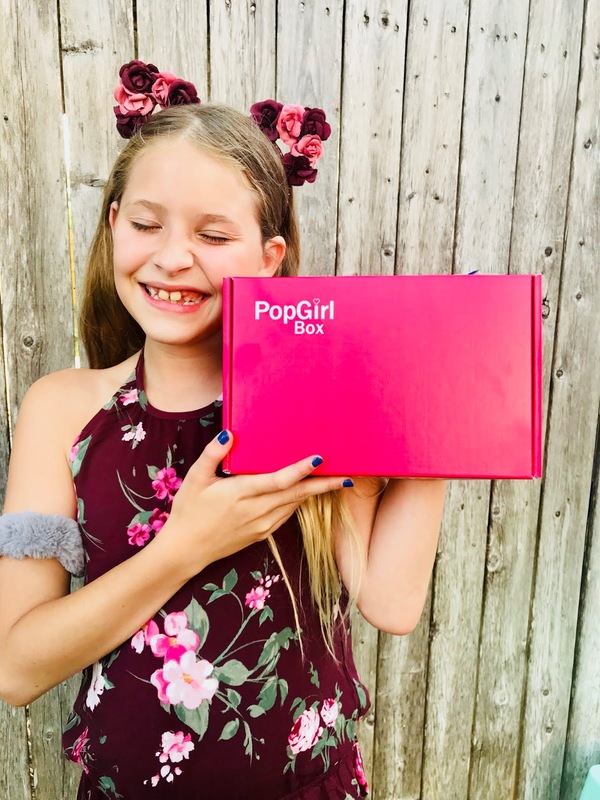 As you see, you get so much in a PopGirl Box! The total box value is over $50! We're excited to see what next month holds. It's called Fab Fall, and we absolutely LOVE the Fall. If you want to get a PopGirl Box, go here and use the code NATALIE for $5 off! Want the Fab Fall box? Order by August 25th! You can get one for under $30. 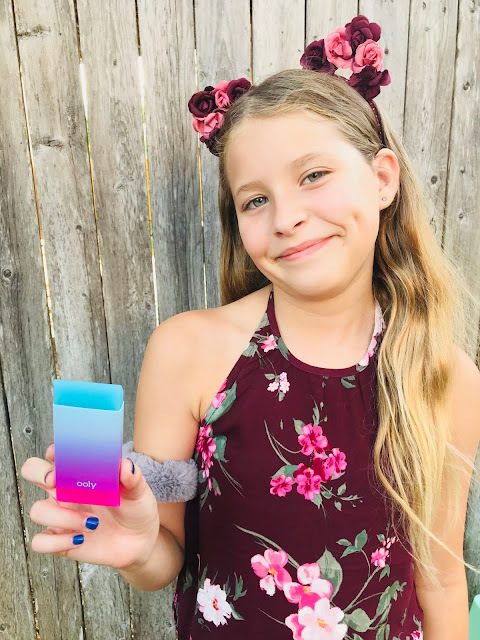 I love the story of this company too: it was created by a mother and daughter! 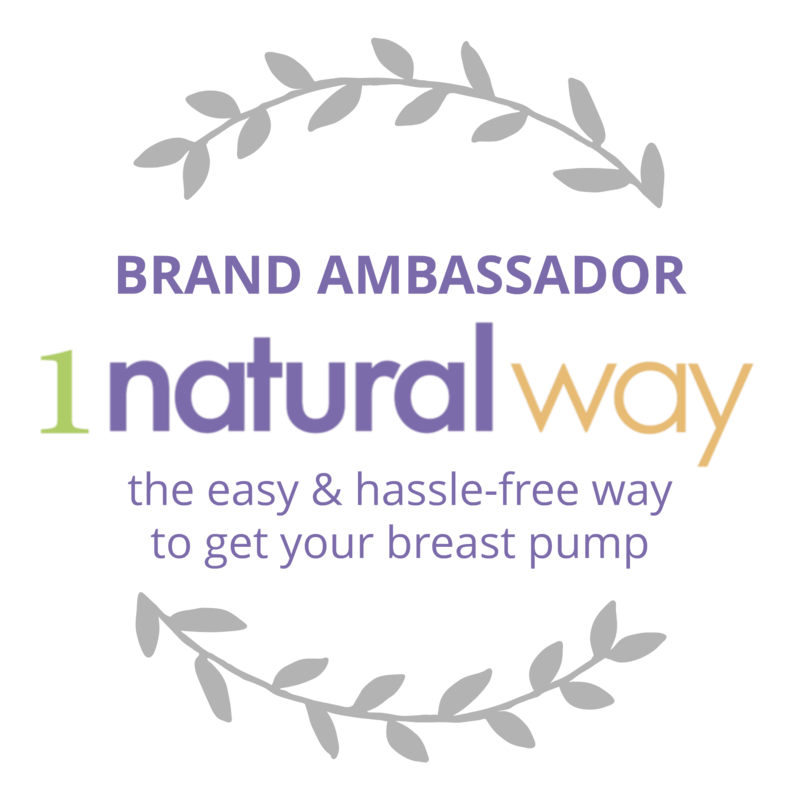 The mother is actually a blogger so you can feel good in supporting this wonderful company. Plus I love the message of what a PopGirl is. PopGirls work hard in school and are kind to everyone. What is your favorite thing in the box? Natalie says hers is the eraser. She added that in her backpack too. She says she's ready for middle school. That's a great combination of text and photos. All ingredients of a great blog post. Oh, they're so beautiful! I am sure your girl is very excited! Oh man, I know I would love that pencil case! I have heard of Yoobi, they also sell products at Target. I REMEMBER when I was a kiddo - going back to school - I got SO SO SO SO SO excited about these things. Yes, I definitely still get excited to go to staples but back then there was just so much MORE joy involved, haha! I love the items and I'm sure Natalie does too! That is a great box! It's a cube of cuteness! 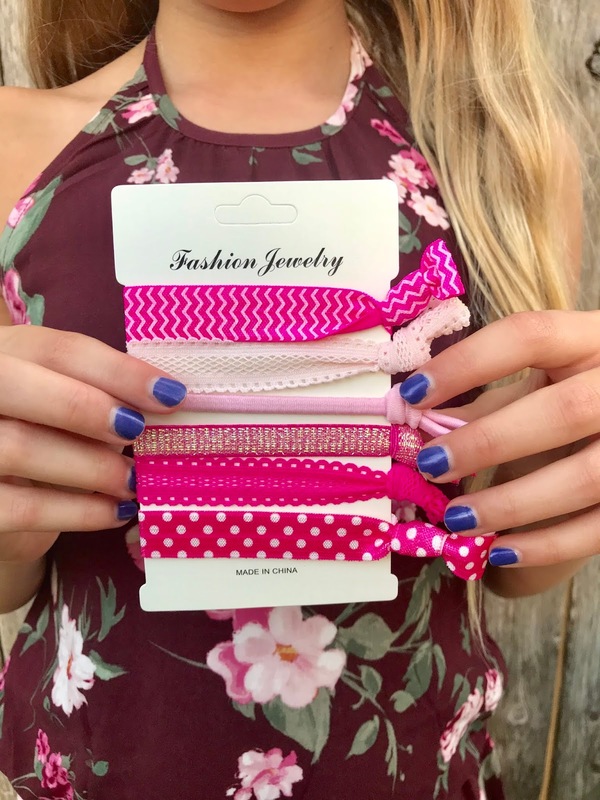 The hair ties are the best. awww she s so cute ! she surely loved her box !! Thank you for sharing ! So many great goodies in this box! I had no idea there were scented highlighters, that is pretty cool. My daughter would love this box too. That has to be the coolest eraser I have seen! That is so nice they came out with a back-to-school themed one - less supplies to be purchased! Well that looks like fun! I love her hair, it looks so good with her outfit, which is adorable too! 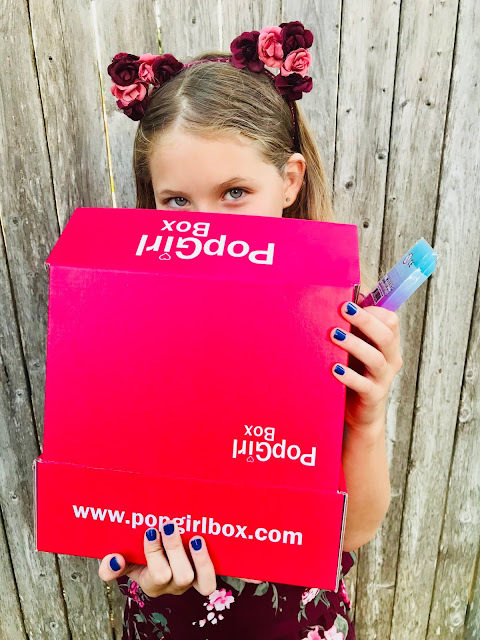 PopGirl looks like such a fun box! My daughter would love to get all these goodies in the mail. Teen girls love mail! I can't wait to order this box. My niece will enjoy the contents. There are lots of nice and pretty items! I want a box like this myself. 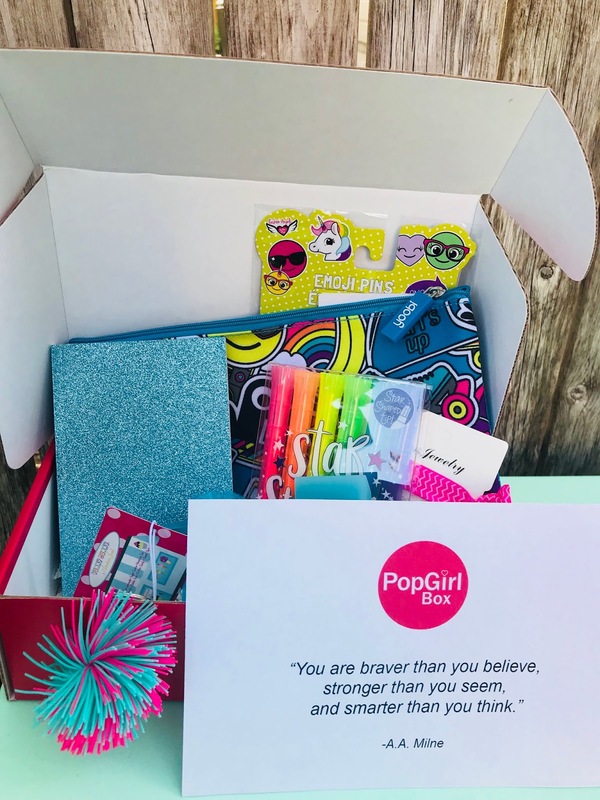 Wow, that pop girl box looks really pretty and looks like it has a good stuffs that can be use in school. I am sure my daughter would also love to have this box. These are really cute items. Even if Im past my adolescent period, I am stll fascinated by cute school items like these. Girls will surely be excited to be back to school. Wow! there is so much good stuffin the Pop Girl box! it seems so worth it. My daughters would love this box. I think I have heard of this, but never checked it out. Will be checking it out now. I'm sure my girls will love it. This is such a fun box for little girls! There are so many awesome subscription boxes out there. If it gets the kids to put the headphones down I like it too. It does look like you got some good school stuff in the box! 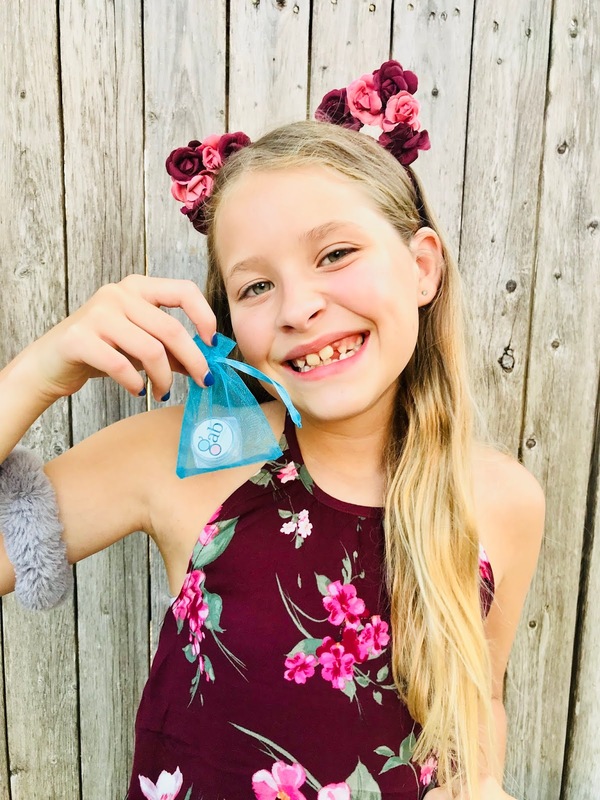 That looks like a nice subscription box and I am sure that my daughter would love unboxing this back because of pretty little stuffs in there. She got a lot of really cool stuff! I would love to see one of these boxes myself! I've not heard of this subscription box before. It sounds like it would be a lot of fun to unbox though. What a fun box! My daughters would LOVE to receive one! 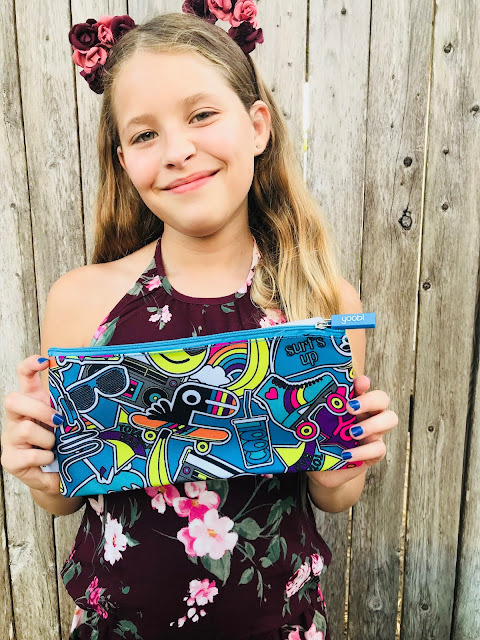 What a fun box for your daughter, lots of cool things. 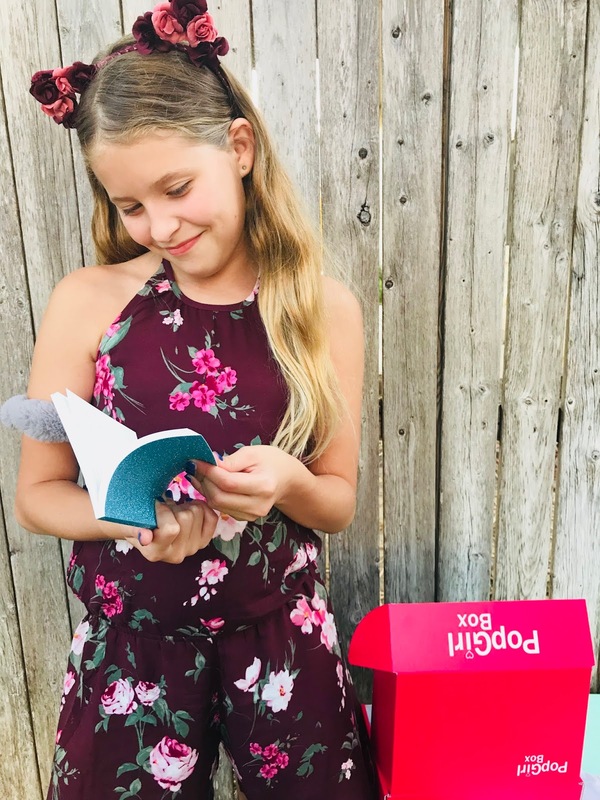 What a fun back to school box! It looks like it has some wonderful things in it to help get ready for the big back to school day! At least you got her to come downstairs for awhile. The box had fun stuff for back to school which is always helpful. Love everything and it is perfect for a tween girl. That is super cute. 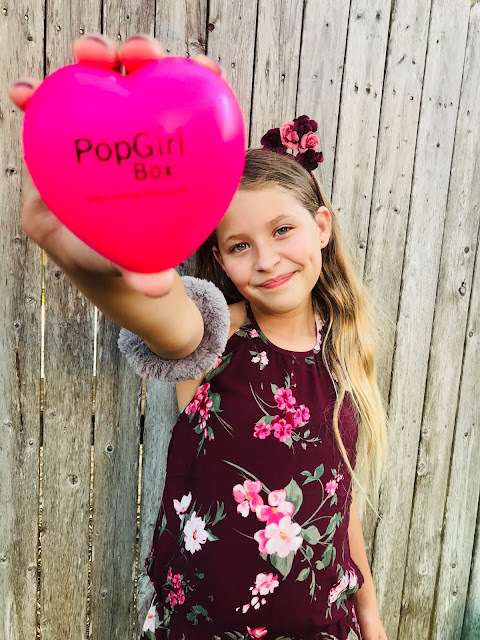 I love that she was not interested until you said PopGirl Box! Ha! Whatever works! 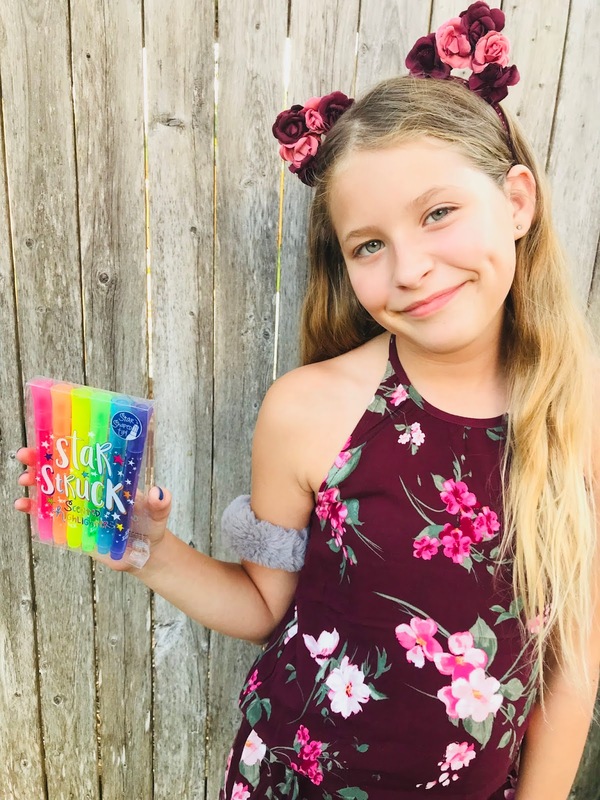 That looks like the perfect box for a tween! It has a little bit of teen and kid all mixed together. Looks like she loved it. What a fun box! And looks like she loved it!! So many great back to school items. What a great box of items. I could see that this would spice up the school year if the kids knew something was coming on a regular basis to keep things more interesting! Your little girl is darling. I love every single thing in this so I know my grandkids would. They'd really like those highlighters (is it crazy that I would too? lol). That is awesome! That is much better than shopping for school supplies. Wow! I have 2 tween daughters and this box looks like it would totally their thing. 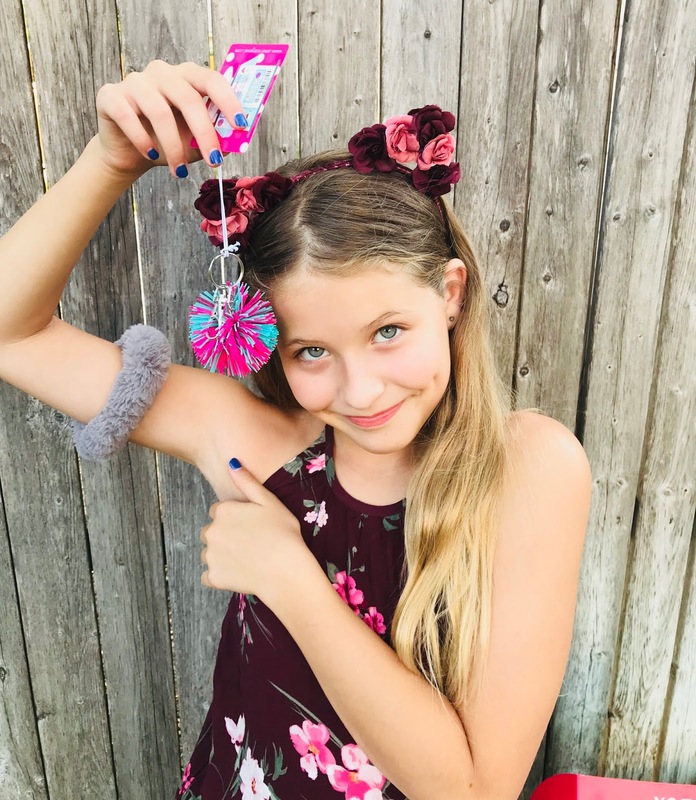 I can see that pom pom keychain being a big hit with them. Thanks for the info on this box. I'll be checking it out for my kids. This is a great post! Seems like an awesome box for pre-teens and teens, especially the pencil case. Thanks for sharing! This box is perfect for your daughter! She is such a pop girl! My girl would really enjoy something like this. She is really into this kind of stuff. This box has all of the essentials that a girls needs for back to school. I love all of the little cute items that were included in the box. I think that's totally adorable! I love the items in it and it's definitely just in time for going back to school. So colorful!!! Looks like such a fun subscription box here. 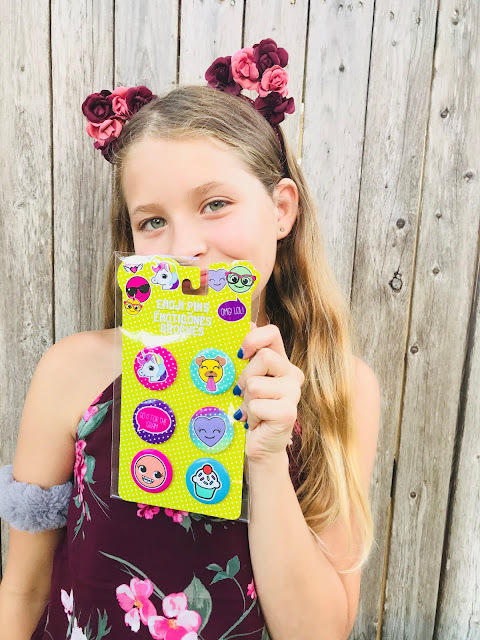 I know my daughter would love most of the products in here and such cool different back to school things. Very nice. This looks like such a great subscription box. Audrey my daughter would fall in love with this. She's on her 'fashion girl' kick right now, so this is definitely up her alley . Isn't that ombre eraser and pencil just cute?! The whole box is full of cool stuff, my tween girls would love this Popgirl box. What a fun box to open right before school starts!! Also- how CRAZY is it that school is starting?? I love that box. I am looking into it for my daughter. Wow I love the box looks girly I’m pretty sure your daughters loves it! Fun hair ties! I accidentally let Scarlet see this post and she went crazy for it. She has a thing for Ooly products. This box looks awesome for my daughter!!!! I have never heard of it thank you so much for sharing! This is so cute! Happy back to school season! Geez how time flies so fast we grows so fast!